Liff Qapar is a desert guide living in a small oasis village of Tyrros in the border regions of Groam and Caheb. 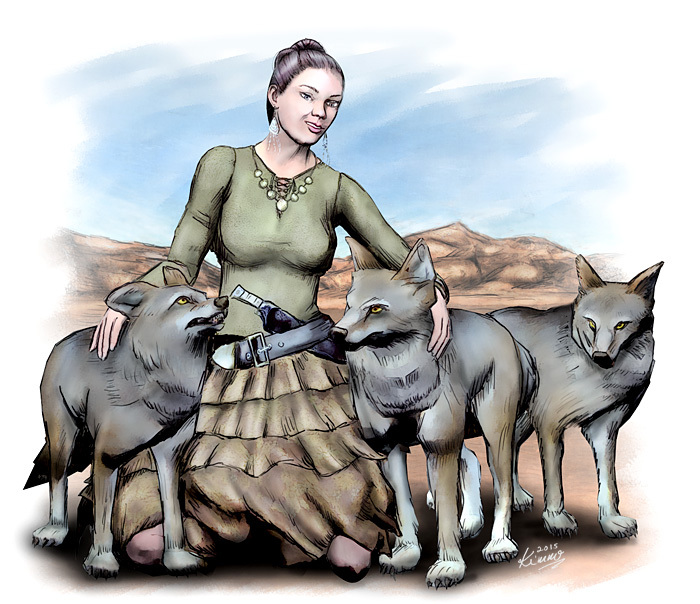 She is an expert naturalist with a cunning ability to communicate and control animals. Liff isn’t a very sociable person, though, preferring to spend her time with other species rather than her own. But if you need a guide through the desert (and most likely you do need one if intending to go there! ), cough up whatever her rate is because she might just be the one silver thread keeping you alive in the hostile desert.